RANT - Stop Blaming Stampin' Up! 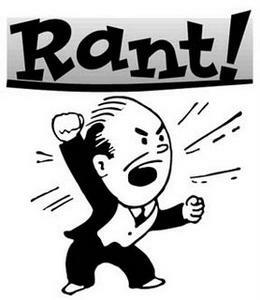 Home» Business Building Articles » RANT – Stop Blaming Stampin’ Up! Yesterday, one of my VIP Clients showed me a message a soon-to-be former Demonstrator made discussing why she would be leaving Stampin’ Up! Essentially, she said she couldn’t make enough money, and the time she was putting into the business wasn’t worth it. Most of the time she was putting into her business was dedicated to creating videos. In a relatively short period of time, she had done several dozen videos, but they weren’t yielding customers. She also said she couldn’t get new customers locally because she would have had to pay a rental fee for class space (between $30 and $45). Her conclusion… you can’t make money with Stampin’ Up! Unfortunately, the comments below the message seemed to echo that sentiment. – No mailing list signup on blogBasically, it’s not a surprise this Demo is struggling to find customers, because she’s making it too difficult for people to step up and become her customer. On top of that, this person purchased enough product to do several dozen videos, but didn’t want to spend $30 dollars to put on an outside class? How is this Stampin’ Up’s fault? Look… anyone who knows me knows I don’t pull any punches when it comes to Stampin Up, Close To My Heart, or any of the other companies out there. If I think a decision is bad for you, the individual Stamping Business Owner, I say it. But I also don’t pull any punches when it comes to the individual Stamping Business Owner. I don’t let my clients make excuses. YOU control your destiny far more than SU or any of the other companies do. The choices you make for your business have far more to do with your success than the choices they make for you. And if one of you can do this successfully… ALL of you can do this successfully. If you CHOOSE to do this successfully. That means, doing what you have to do to be successful. It means putting in the time and money. It means expanding your knowledge base, and working on your personal and professional development. Do you know why my clients don’t complain? Because they know no matter what happens, they’re going to be successful. They know how to make it work. That’s how it is when you step up and into your business. And if you want to step up, reach out to me. Meg, Brenda and I are always happy to have a conversation with you about your business. And if you choose not to step up, that’s fine, too. Just stop blaming Stampin’ Up! Because if you’re sitting around waiting for them to change, YOU never will. Stampin’ Up!® is just one slice of someones pizza. My business is running down because the SU slice is not fitting with other pieces of my pizza. My choice not their’s.